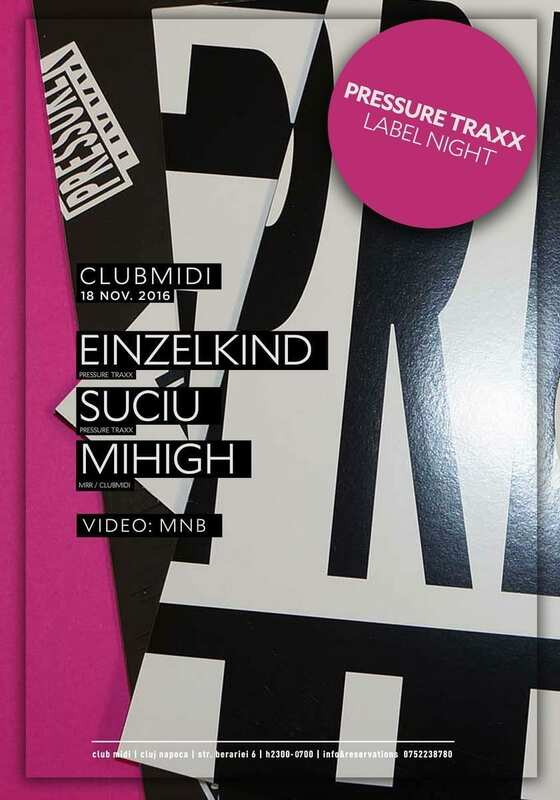 Based in Frankfurt, Pressure Traxx has been founded in 2012 by Frank Schwarz aka Frost (26) and Arno Völker aka Einzelkind. The label does exactly what it says on the tin. More Pressure, more Traxx. No bandwagon blues, no sounds-alike songs. Regardless if he’s behind the decks of Europe’s finest venues such as Robert Johnson, Club der Visionäre, Panorama Bar or Watergate; or producing first class beats for premium musical outlets like White, Infuse, Playhouse, Cocoon – or his own imprints La Peña and Pressure Traxx – he proves that style, class and musical flavor are the three main ingredients needed to set any dance floor ablaze. Touting a variety of styles and an indiscriminate ability to induce moods sets him apart from many of his DJ colleagues. Weather it be warm-up, prime-time or afterhours, Einzelkind possesses the musical collection, knowledge and experience for any situation. His release at Pressure Traxx – Reactiiletale EP- was so enchanting when it appeared last year, that it seemed to exist out of time. Currently focusing on developing his distinctive sound, it is clear that Suciu has matured from fresh-faced, aspiring artist into an esteemed member of the underground’s elite.